State game wardens are investigating after a bull elk and a deer were illegally killed west of Whitefish. They need the public’s help. 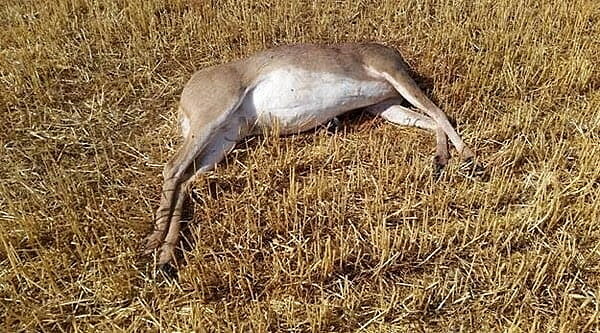 Most recently, wardens responded on Wednesday to a report that a white-tailed buck had been shot and killed in a field near the Stillwater River, at the intersection of Twin Bridges and Lodgepole roads. The deer’s head had been removed by the poacher. The remainder of the animal was left to waste. Prior to that, on Sept. 1, game wardens responded to a report that a bull elk had been shot and killed at the north end of Farm to Market Road, near the intersection with Star Meadows Road. Some portions of the elk were taken while others were left to waste. It’s unknown at this time if the incidents are related, but they did occur in the same general area. On Thursday afternoon, FWP officials asked the public to help in the investigation.